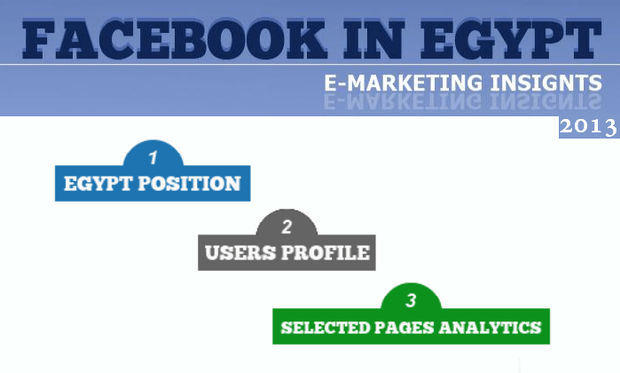 eMarketing Egypt announced the fourth report in its series of reports about Facebook in Egypt: Facebook in Egypt...e-Marketing Insights. With 16 million users, Egypt’s Facebook community evolved to be the 17th largest worldwide, in addition to being the largest in the Arab region. This size of Facebook users in Egypt also affirms the extreme importance of it as a must-to-use channel for any marketing effort. Along with realizing this importance; it is critical to realize also that the first step in any Facebook marketing activity is to understand the sophisticated environment of its users. In this context, this series of reports, for the fourth year consistently, puts the facts and figures of Facebook community at the fingertips of marketers. The report starts with a basic description of Egypt Facebook community in comparison to both global and regional figures. And then Egyptian users were profiled in terms of demographics; starting with age where it appears here that more than 75 % of users are younger than 30 years, in addition to the fact that the largest a group of users are those aged 18 years old. In terms of gender, additional to the predominance of males, almost similar to the distribution of Internet users in Egypt entirely, users of females are significantly of younger age groups (82 % of female users aged younger than 30 years old). The report also included an analysis of the largest 8 pages in different fields – topped by the Page Educate Yourself - in terms of number of users and their distribution according to percentage of fans from Egypt; then those fans from Egypt were profiled in terms of demographics (age and gender). “This report is one of the series of reports published by company consistently since 2010 to study the electronic market as a tool to support the competitiveness of companies and as an essential step to achieve the company mission to “utilize the online space enabling businesses to achieve their strategic objectives”, stated Ossama El-Badawy, The author of the report and the online competitive intelligence consultant of eMarketing Egypt. eMarketing Egypt is the first e-marketing company in the region who adds the art and science of competitive intelligence alongside to tools of online marketing in order to maximize the return for companies marketing investments through managing and conducting an integrated online marketing campaigns. You can get a full copy of the report, for FREE, through this Link.